The last station was run by one of the robotics coaches who brought a set of 8 Ozobots to the program and showed the kids how to program them using paper and colored markers. 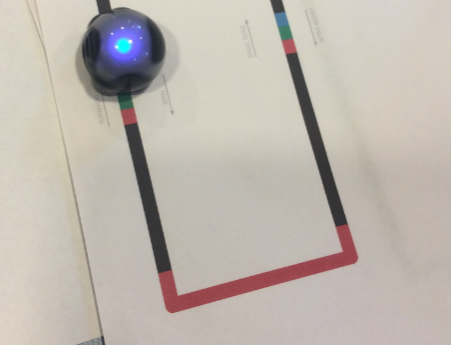 I was not familiar with Ozobots before the program and they are so cool! This was a simple program to put together and made an awesome community collaboration between us and our nearest public and Catholic high schools. The robotics coaches actually reached out to us to hold a program during Robotics At Your Library Week, a Michigan initiative to have robots visit every library in the state between June 19-June 25 this year. We had 78 people attend, including parents and grandparents. We are hoping to repeat this program (or one very similar) next year!